This poem started life as a response to Laura Salas’ 15 word-or-less challenge. 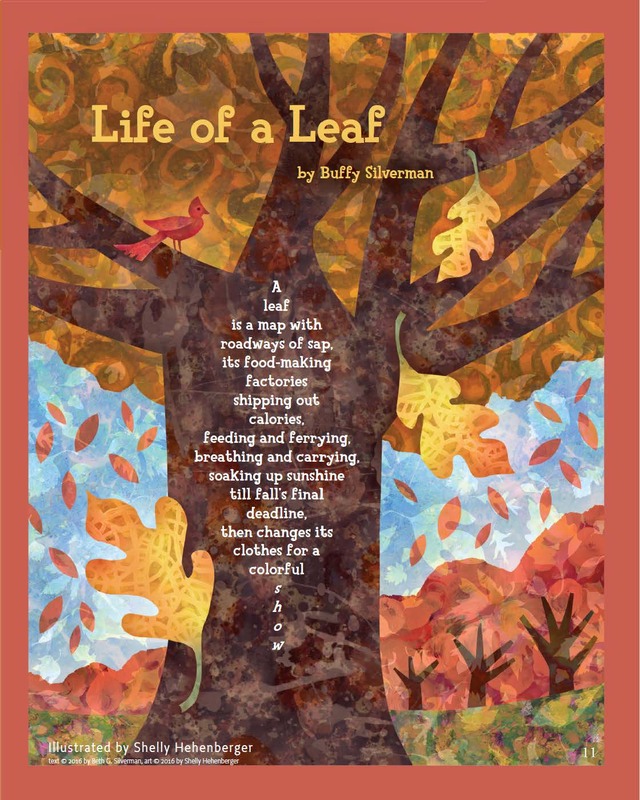 When I revised and expanded it, it grew a concrete oak leaf shape–and I was happy to see that the illustrator featured oak leaves falling near my poem. Thank you, Laura, for the original inspiration! And thanks to Shelly Hehenberger for the wonderful illustration. And while I’m celebrating, here’s my poem that’s reprinted in Ladybug this month. It also started from a prompt–this one from Shutta Crum many years ago at a Michigan SCBWI conference. Shutta gave a talk about adapting fairy tales and nursery rhymes. 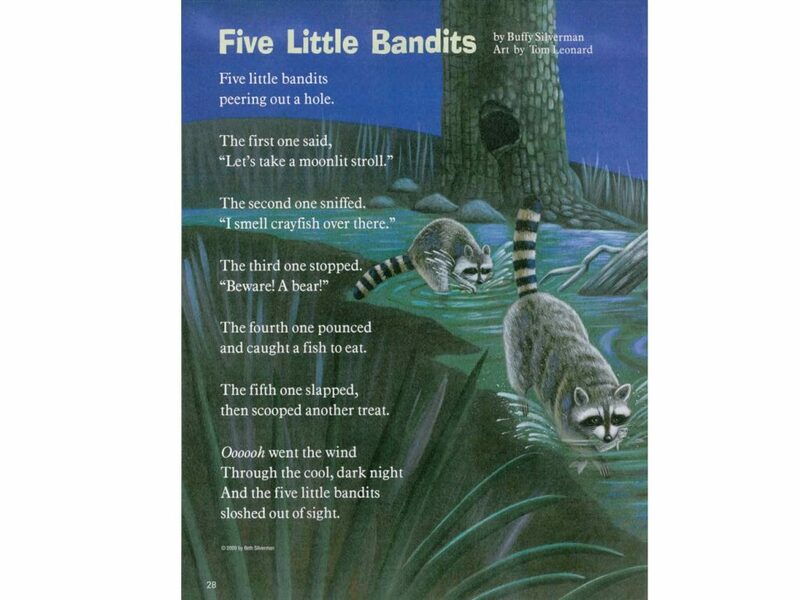 Can you recognize the original nursery rhyme that inspired Five Little Bandits? It’s Friday–there’s lots more poetry on tap! Tricia has the Poetry Friday roundup at The Miss Rumphius Effect. This entry was posted in Uncategorized on October 21, 2016 by Buffy Silverman.